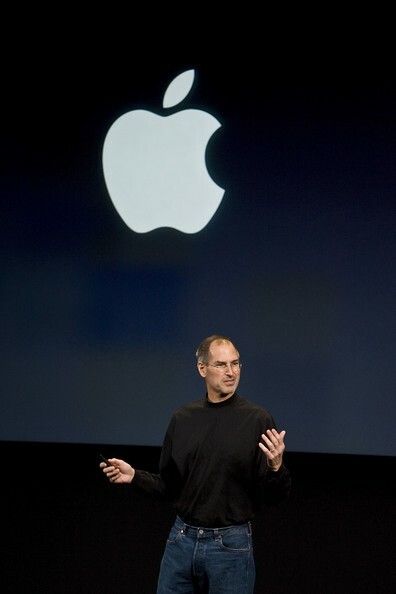 Game Changers always exceed expectations, but Steve Jobs is the leader of this Cult. It’s been a brilliant week of commentary and articles about this iconic life which has consistently given consumers the intangible dream made real. Then so real it’s completely integrated into day to day life. How did we live without it? Emotional too – will we still have someone to delight us with the unexpected? A couple of things make me pause. From the article ‘What Makes Steve Jobs So Great?‘ recapping when he came back to Apple in 1997: His tour finally brought him to the workbench of a designer ready to quit after just a year on the job, languishing amid a stack of prototypes. Among them was monolithic monitor with a teardrop swoop, which managed to integrate all of a computer’s guts into a single package. In that basement Jobs saw what middle managers did not. He saw the future. And almost immediately he told the designer, Jonathan Ive, that from here on out they’d be working side-by-side on a new line. That became the iMac. His willingness to gamble on things others say are outrageous and ‘why’ – who needs it? For THAT price?! Who would ever pay $500 (£300) for a portable music player and $400 (£280) for a mobile phone? The leader of the Cult has’t always been right, far from it. But he HATES when he gets it wrong. He can barely refer to MobileMe without anger, humiliation and embarrassment. And from the Harvard Business Review article ‘Steve’s Seven Insights for 21st Century Capitalists’: Steve’s goal in paying obsessive attention to all things Apple wasn’t merely to “listen” but to discern people’s wildest expectations, and then firmly take a quantum leap past them, instead of merely discovering the lowest-common-denominator of what people wanted most today, and then pandering to it. Leapfrogging your customers means creating new markets, not just new products. For those of us who passionately believe in customer or client centric organisations – can we delight our own customers with these principles? On the basics? Too often we do the expected, the minimum, the traditional. We put up barriers: too hard, too expensive and doesn’t deliver short term profit. I detest the terms e-blast, mass mailing, etc. because we aren’t recognising a real person on the other side who is taking precious time to interact with us. If we took one moment and asked ourselves in a conscious fashion before pushing the button or approving the green light on everything we do, ‘Does this serve our customer?’, we would be on step closer to joining the cult. This entry was posted in Apple, Jobs, Technology and tagged apple, cult, iphone, jobs, mac, marketing, vision. Bookmark the permalink.